Black Seed Oil - Organic, 8 fl oz (Heritage Store) - Penn Herb Co. Ltd. AMOUNT PER SERVING (1 TSP/5ML): Organic Black Cumin Seed Oil (Nigella Sativa) 4.6 g. Other Ingredients: None. 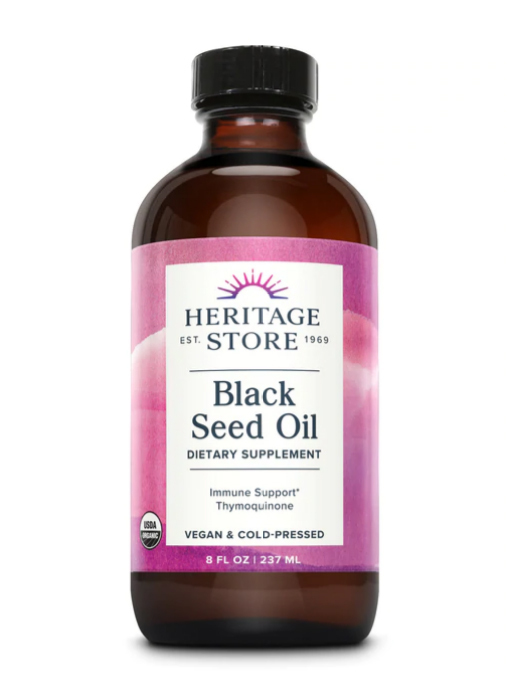 Our 100% pure organic black seed oil is cold-pressed in accordance with sustainable, kosher, and halal standards. It is naturally free of solvents, alcohol, fillers, preservatives and gluten for your good health.